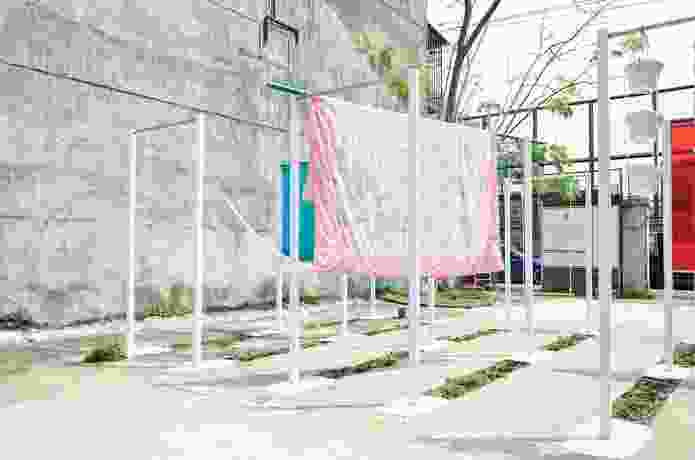 Steel horizontal bars serve as scaffolding for a variety of uses at the ParkUp community gathering site in Taipei, Taiwan designed by Plan b. The contemporary cities of East Asia are perhaps best recognized for their sprawling development and glittering skylines. New central business districts were created to attract global capitals but many resulted in banal and ubiquitous development. Large-scale projects have erased traditional urban fabric no longer deemed fit for modern metropolis. Some historic remnants have been kept, but often as window dressings, lacking raw vitality and authenticity. 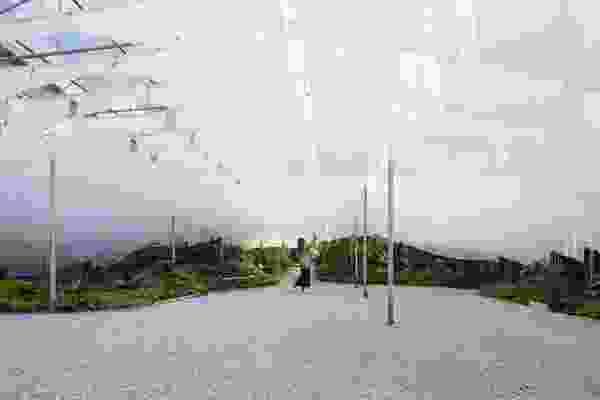 In the midst of such rapid and profound transformations there have also been remarkable landscape design projects. 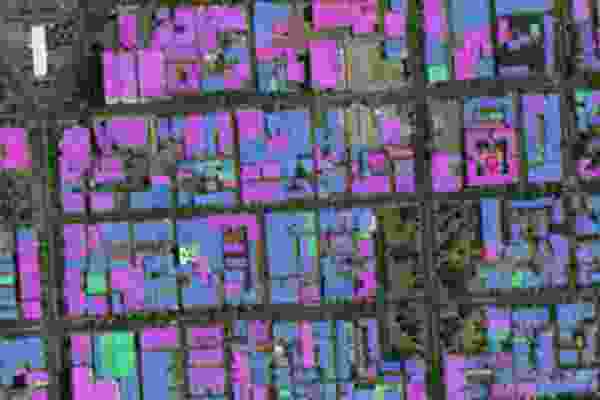 Work by Beijing-based Turenscape presents innovative approaches in mitigating the impacts of rapid urbanization. The Cheonggyecheon stream restoration project in Seoul, despite resulting in the displacement of thousands of vendors and businesses, illustrates a remarkable undertaking that favours urban open space over cars, a legacy now reinforced by the opening of Seoullo 7017, an elevated roadway converted into a pedestrian greenway. As a civil society in the cities of East Asia develops and matures after decades of authoritarian rule and narrowly focused economic growth, the forces of transformation are coming not only from the top but also from the bottom, through self-organized actions by citizens and community groups. 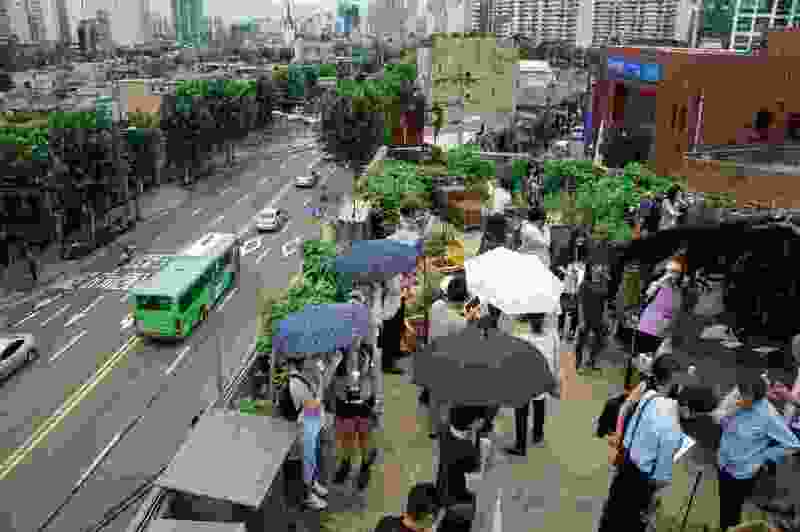 In cities from Taipei to Tokyo, communities and non-profit organizations have become more active not only in advocating for more urban open spaces, but also in making them on their own, often with the support of other non-profit groups, growing networks of volunteers and even local governments. More than designed spaces, these projects represent outcomes of creative social engagement, agency of individuals and community groups, and collaboration between a variety of players who previously might not have had the opportunity to participate in decisions affecting the outcomes of the built environment. 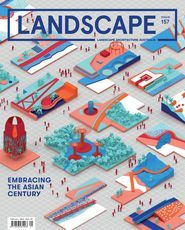 As such, these bottom-up placemaking projects are transforming not only the built landscapes, but also the role of citizens in the social production of cities and places, leading to more creative use of spaces and more dynamic social relationships. Located in the western part of Seoul, Mullae-dong is known for a history of industrial activities. Even after major manufacturing facilities left the area, the neighbourhood continued to host a network of suppliers and metal fabrication shops. Like most other neighbourhoods in the city, Mullae-dong has been surrounded by highrise residential towers, in which residents rarely interacted with each other. In 2010, the dynamic began to change when a small group of residents came together to pursue urban gardening. Unable to find a site suitable for gardening within the residential compounds, residents ended up using the rooftop of a nearby building in the industrial part of the neighbourhood. With help from Seoul Green Trust, a non-profit organization, the group received plant materials and some training in gardening techniques. In addition to box gardening, they engaged in activities such as urban beekeeping, outdoor cooking and organizing a farmer’s market. Other residents in the neighbourhood began to join. They came to grow vegetables, as well as to meet and interact with each other. Today, the rooftop garden is a lush, elevated oasis in the midst of an urban jungle, surrounded by nondescript factory buildings and residential towers. Each day, residents from the nearby apartments gather to tend their gardens and chat. Started as a leisure activity among immediate neighbours, the Mullae rooftop garden has since generated other activities in the neighbourhood, including garden tours, a book cafe and rainwater harvesting workshops. In addition to growing vegetables, the Mullae rooftop garden in Seoul, South Korea also functions as a social space for neighbours and visitors to the district. Edible Way is a project initiated by a group of graduate students in the Isami Kinoshita Spatial Planning Laboratory at Chiba University in Japan. Urban food production has risen in the public consciousness in Japan, following shock at empty store shelves as a result of the 2011 Great East Japan Earthquake. Rather than simply growing and producing food, however, the Edible Way project uses small-scale urban food production as also a way of engendering social interactions among community members. The city of Matsudo was chosen as the site for the project not only because of the location of the university campus, but also because of the lack of social interactions among the city’s neighbours as a result of it being a “bedroom community,” with most resident working in Tokyo. The Edible Way urban food production community project received a 2017 Good Design Award from the Japan Institute of Design Promotion. 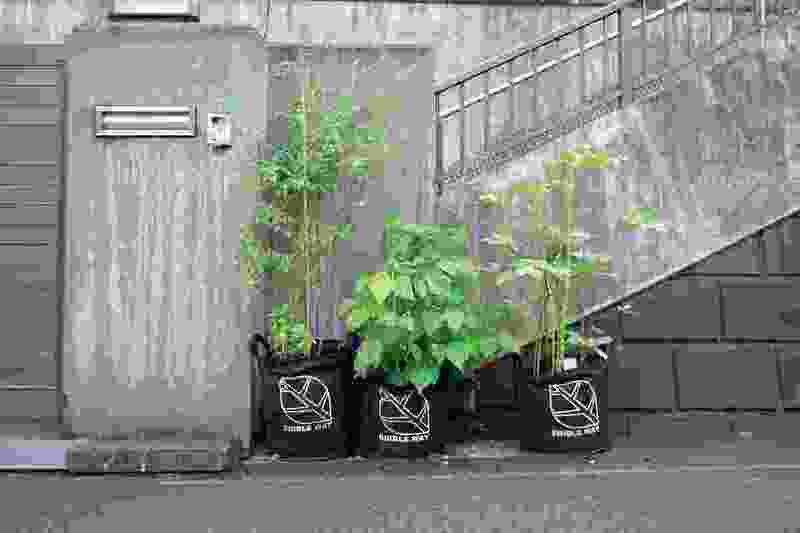 For this project, Chiba University students distributed felt planters donated by a supplier to residents within a one-kilometer radius of the school campus, at no charge. The planters, placed alongside the streets, help green the neighborhood environment and encourage chance encounters between neighbours as they tend to their edible plants. When the edible plants are ready for harvest, co-cooking and food-sharing activities further deepen interactions and social ties among residents and students. 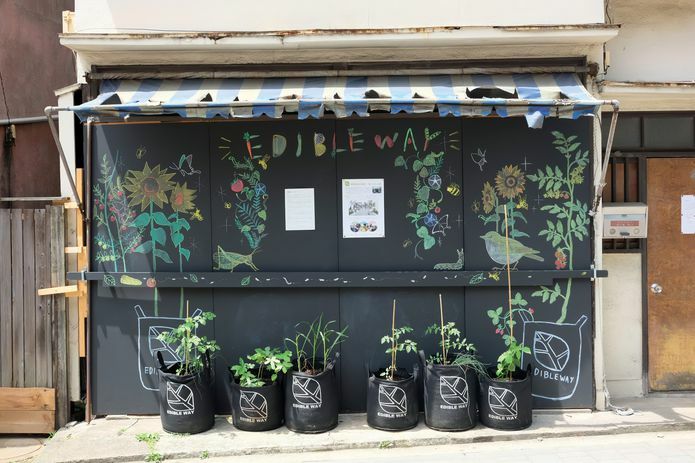 The “Way” in “Edible Way” represents both the physical space of the street and the methods of building community through food production. The project builds on the tradition of placing potted plants outsides one’s home, a common practice in Japan. By growing vegetables in felt planters, however, the project turns the familiar practice into a nimble and effective way of promoting urban food production and community building. 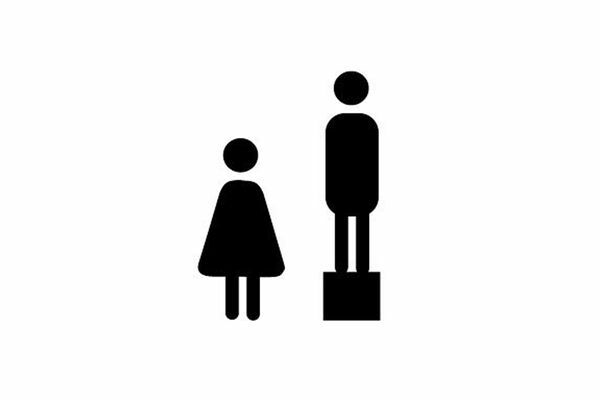 ParkUp is a placemaking project that converts small vacant sites in the city into active, adaptable gathering spaces. 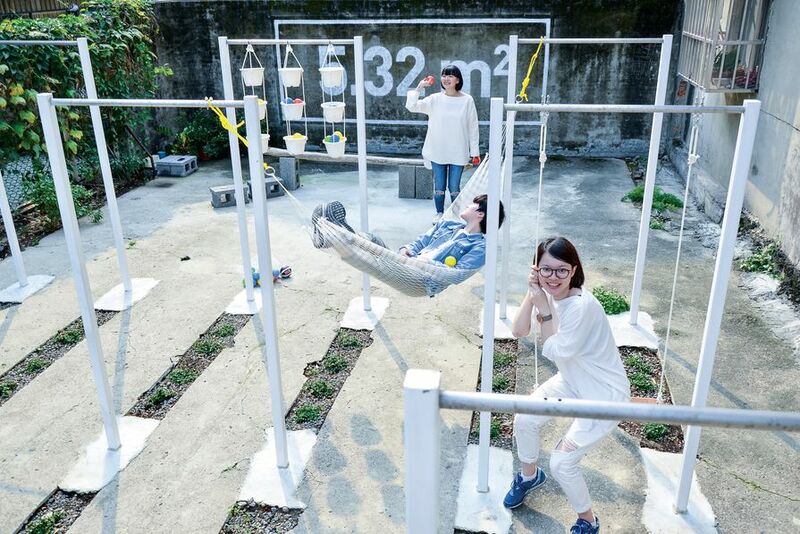 ParkUp began as an experimental effort by a group of young entrepreneurs and artists who started Taipei’s very first co-working space. With support from the City’s Open Green Matching Fund program, staff and volunteers from the co-working space converted a nearby vacant lot into a community gathering place. 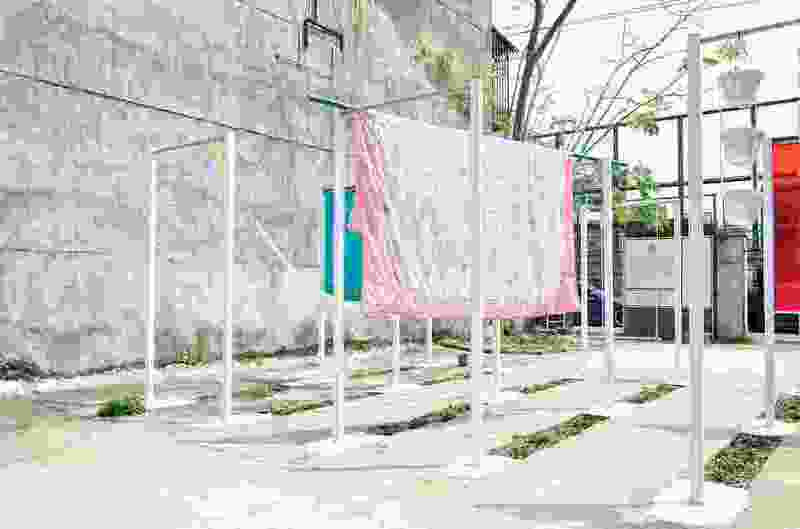 With few spots in the city for gathering, it soon attracted other social start-ups to use it for events and on a typical day, people also use it to dry blankets. 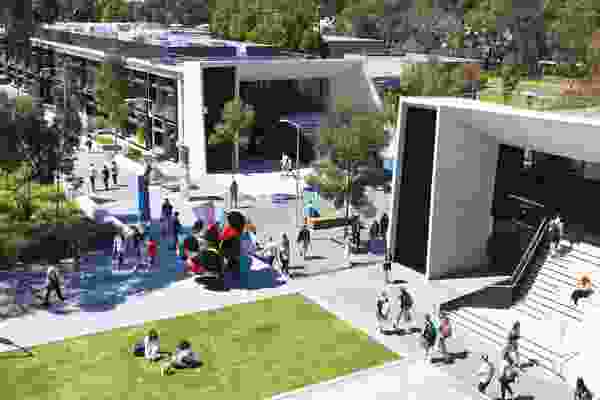 The successful transformation of the space led to the creation of Plan b, which includes placemaking as part of its business portfolio. 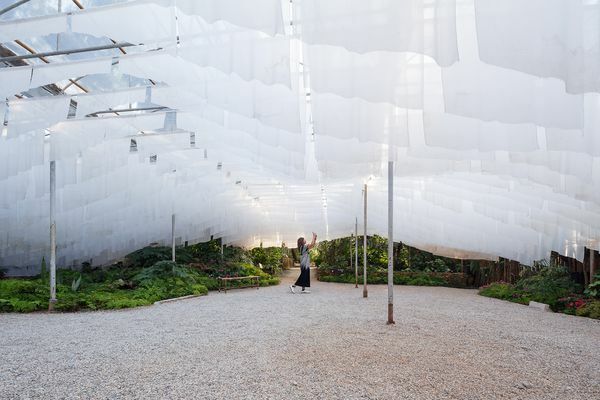 With additional support from the Open Green program, the Plan b team produced a second iteration based on their observations of how the space had been used by the community and other visitors. The new design features nine steel horizontal bars that can be adapted for a variety of uses, ranging from hanging swings, planters and hammocks to drying blankets and clothes. The rear area functions as an event space that can be used for workshops, concerts or outdoor cinemas. Large letters of 5.32 square metres, visible from afar, were painted on the back wall as a reminder that the amount of park space per person in Taiwan is only 5.32 square metres, lower than many other cities around the world. The scaffolding at ParkUp also allows for neighbours to dry their blankets and clothes in the sun. The ParkUp site is just one of many Open Green projects in Taipei. The Open Green program was introduced by the government in 2014 after a series of pilot experiments. From 2014 to 2017, sixty-one projects were created under the program in neighbourhoods throughout the city. They range from rooftop gardens to community maker-spaces, turning vacant or underutilized areas into active, social gathering spaces. As community-driven projects, they also help to strengthen social relationships and increase the capacity of the community and citizen groups to self-organize, develop future projects and even assist in similar efforts in other neighbourhoods in the city. The Edible Way project in Matsudo, Japan uses felt planters to conveniently introduce urban food production to a dense residential neighbourhood.